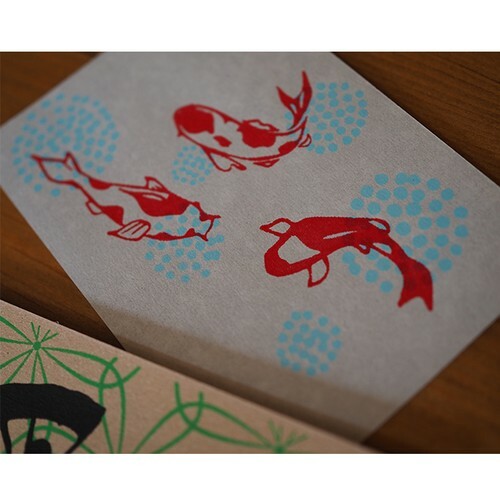 Gujo city is the birthplace of screen printing in Japan which is one of the flourishing local industries. 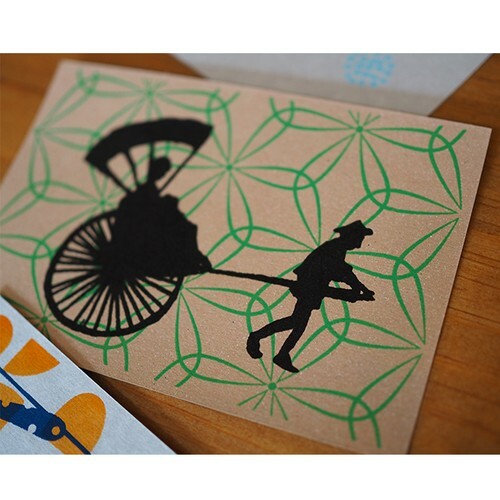 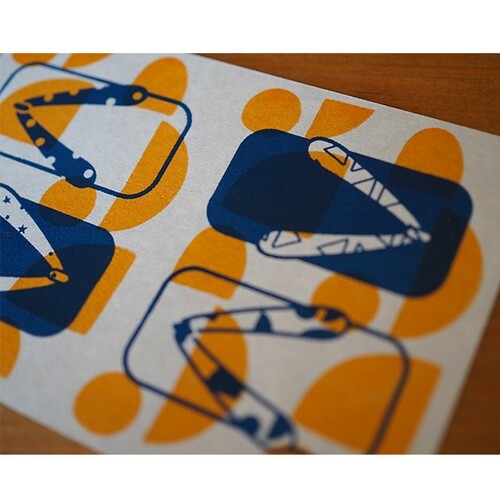 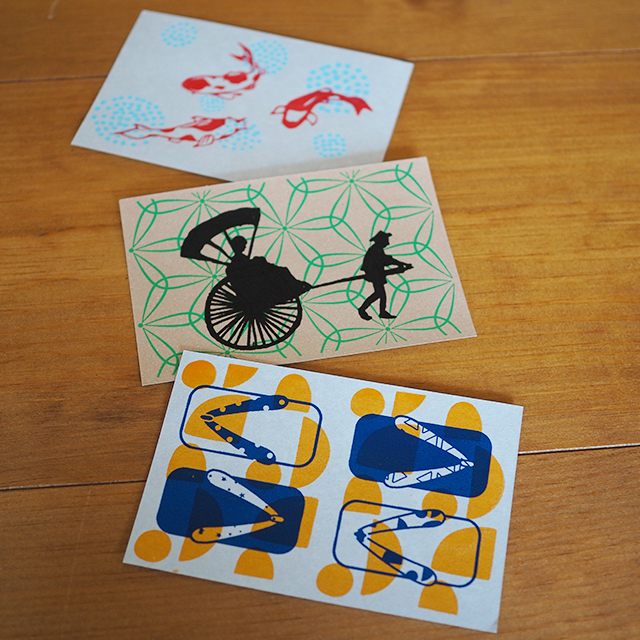 Each postcard is hand printed by Takara Gallery Workroom. 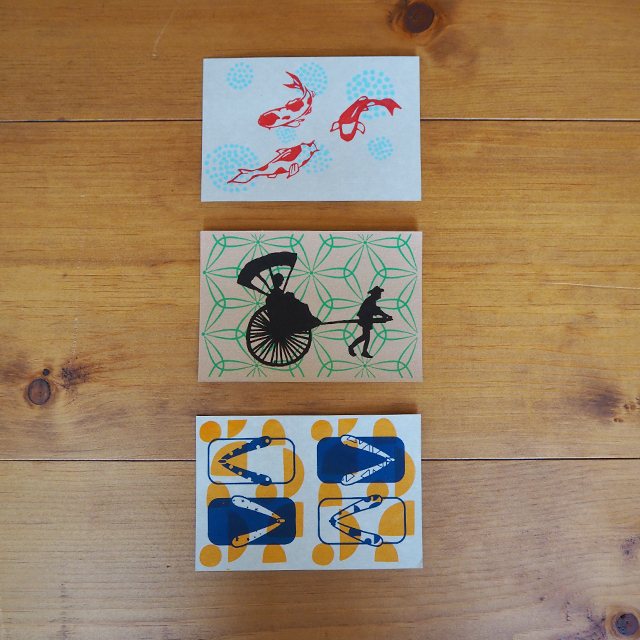 This set of screen printed cards are based on the theme of Gujo Hachiman, for example, Gujo Hachiman castle, rikisha and clogs for Gujo Odori (summer dancing festival).